Last edited by MrRC on Sun Dec 17, 2017 1:26 pm. The thing that comes to mind after seeing these photos is this recent post Vekoma posted on their facebook page about the next generation looping coaster. Though I wonder if they developed a new train design which will be the reasoning behind this test. When I grow up, I want to breed donkeys! That looks like a fun concept! Possible this is the same coaster : called Bermuda Blitz. Confirmed : not this coaster. Last edited by MrRC on Thu Aug 04, 2016 3:19 pm. Don't let this donkey melt you with its laser eyes! Last edited by MrRC on Sun Dec 17, 2017 1:27 pm. Is my pee supposed to be this color? Location: Where the grass is blue. 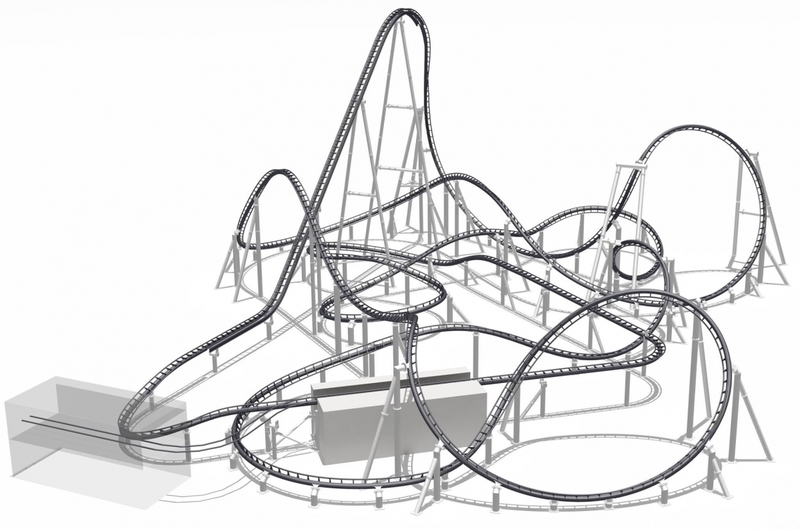 Are these new-line Vekoma's being designed by Ride Centerline? The layout looks very similar to something they would likely do. We will see during the construction progress what will be build and tested. I will keep u updated with pictures whenever is needed.